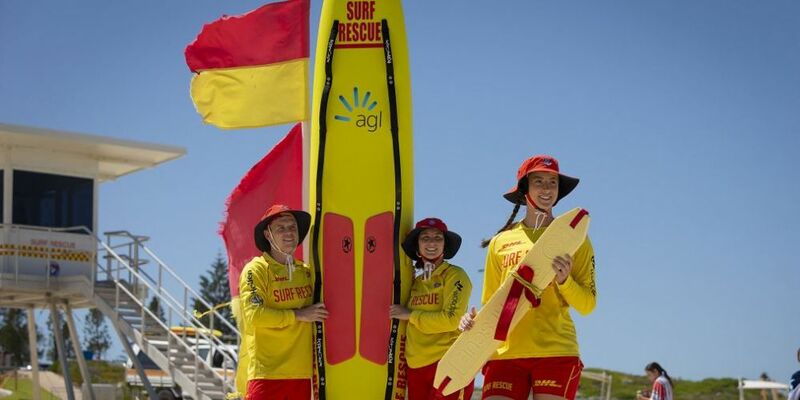 SURF Life Savers want people celebrating Australia Day to be safety conscious near, in or on the water during the nation’s foundation holiday long weekend next week. “If you are going anywhere near the beach or water don’t drink, because the sea and alcohol is not a good mix,” Surf Life Saving WA metropolitan operations manager Dan Andrew said. Surf Life Saving WA says some people are still not listening to lifesavers about beach safety and dangerous currents. In December there were 16 drowning deaths nationally, four above the average, of which two were in WA. The State’s volunteer and professional lifesavers have attended 358 rescues in the six weeks until January this summer. On the long weekend, all volunteers from Perth surf clubs will patrol, with crowds expected at popular Scarborough, City Beach and Cottesloe beaches. Mr Andrew said celebrants can help by swimming between the flags, not riding on inflatable toys if there is an offshore wind and get advice about the risks at any beach. “We encourage people to take a few extra minutes to plan their trip and find out where patrols are scheduled and check the conditions before you go for patrolled locations,” he said. However, those onshore also have a role to play. “Make sure you never fly your drones over patrolled areas as it will prevent us launching out drones for patrols and searches,” Fremantle SLSC’s Liam Burke said. Today, the separate Royal Life Saving Society WA will also launch its 2019 Swim and Survive program to teach swimming to country and isolated children at Bold Park Aquatic Centre. “The aim of the program is to teach children aged five to 14 not only how to swim but when and where to do so safely, and to provide participants with a platform for life-long participation in a wide variety of aquatic pursuits such as surfing, swimming, canoeing, sailing and lifesaving,” society senior manager Trent Hotchkin said. Safe beach information is at www.mybeach.com.au.